Do you live in San Jose, Costa Rica and you’re looking to meet new people, buy and sell things, or, perhaps, get a new job? Whether you’re a Tico, an expat who’s retired in Costa Rica, or just a tourist passing through, you’re in luck with Craigslist. 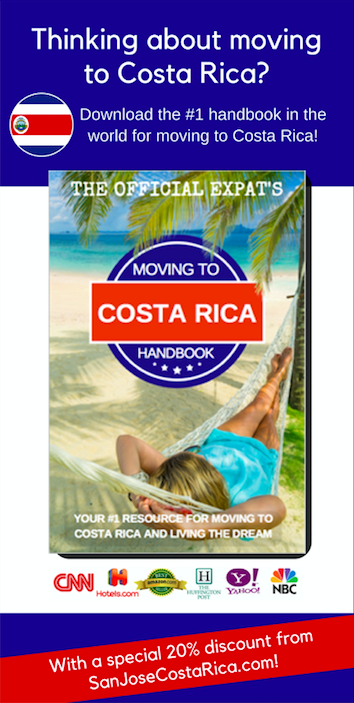 Just like major U.S. and Canadian cities, Costa Rica has its own Craigslist website, costarica.craigslist.org. Since there is just one site to serve the entire Central American nation, it’s quite active. While Costa Rica’s Craigslist isn’t specifically housed in a city, like New York, San Francisco, Vancouver, etc., it does focus on San Jose, since it’s the capital city and population/business/cultural center of the country. However, you will find Craigslist listings, events, community boards, job offerings, and more in other parts of the country, like Liberia, Jaco, and even the Caribbean coast. Craigslist was born in 1995 when Craig Newmark, a San Francisco computer programmer, started his “Craig’s List.” New in town and looking for a good way to bring the community together and meet people, Newmark sent out an email list of local events and notices to his circle of friends. By 1996, Craig’s list had grown so big and popular that he moved the whole thing to a web-based service instead of sending emails, expanding his original content and adding new categories for users. These days, Craigslist is now the 7th largest website on the entire World Wide Web for United States residents, with 50 billion page views every month and 50 million daily queries! In fact, users post more than 100 million individual classified ads every month, of which 2 million are job listings, as well as 200 million posts in its discussion forums. Although it started in the U.S., Craigslist now spans the globe, with more than 700 local Craigslist sites in 70 countries, making it the 33rd most visited website on the entire planet! Why is it .org not .com? So why is it Craigslist.ORG, and not .COM, considering that Craigslist isn’t a charity? In fact, they use the domain registrant .org to signify the non-commercial philosophy of the company and reinforce their mission to public service over profit. What does Craigslist offer in Costa Rica? 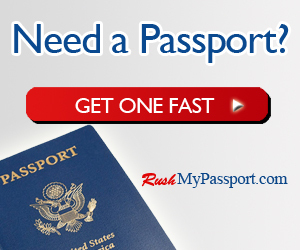 A huge feature is that the site (and all of its content) is fully operational in both Spanish and English, opening up use to the majority of tourists or foreign expats that speak limited Espanol, or just aren’t comfortable transacting business in a second language outside of English. Also, Costa Rica’s Craigslist has a dynamic, international flair, since so many people are coming and going from abroad, with the country receiving about 2.6 million visitors each year. Local events, happenings, and functions are listed by days of the current week (M-Sun) as well as numerically for each day in the current month. So if you’re looking for a concert, festival, or just have a certain Saturday free and want to see what’s going on, Craigslist can help. This section is broad, encompassing community activities, childcare, groups, musicians looking to connect, people selling or giving away pets, volunteering, and much more. It’s also where you’ll find the lost & found listings, and if you want to find people to share a ride with to Jaco (Cocal, anyone?) or Tamarindo, for example, the Community section will have it. Helping people find a place to live, as well as offering accommodations, is one of Craigslist’s most active forums. Here you’ll find plenty of posts on apartments and houses that are currently for rent, people looking for a place to live, and also people seeking roommates. What’s more, the Housing section lists office and commercial space, parking and storage, and sublets. Of course, buying and selling property, land, and vacation rentals is also a big part of Craigslist in Costa Rica, and it’s a valuable and credible place to find listings and get great information. One of the biggest functions Craigslist serves is connecting buyers and sellers, no matter what the product or good for sale. In fact, Craigslist users view 9.2 million ads for used cars on the site every day! What are you looking for? What are you selling? No matter how obscure or rare the item, someone probably has it listed for sale on Craigslist. The “barter” section is one of the fastest growing on Craigslist, all around the world. In this section, people trade items, services, and just about everything else you could imagine instead of money changing hands. Job seekers can post their resumes for employers and employment agencies to peruse, and hopefully, contact you for an interview! Long gone are the days when people looking for work went door-to-door talking to store owners and managers, or even opened the Classified section of the newspaper with a red pen. These days, everything is online, making it more efficient and effective for people looking for employment to contact those companies that are hiring. For employers, too, Craigslist makes a lot of sense as a portal to attract job candidates without investing in job fairs or posting expensive ads. It’s not just entry-level or menial job listings that are posted on Craigslist in Costa Rica. In fact, the categories include available jobs for architects, media, business management, government jobs, legal, medical, technical, and just about every other job you can think of. Like any community bulletin board, someone needs to moderate to make sure everything runs smoothly, people act lawfully, and everyone keeps civil. While they try to keep their fingerprints off daily searches and interactions as much as possible, Craigslist does act as to keep their website functioning in everyone’s best interests. That’s why the Costa Rican Craigslist offers links for help, facts (faq), abuse, legal, avoid scams & fraud, and personal safety tips. Of course, with millions of daily posts, just monitoring for inappropriate and illegal content would take a whole army of Craigslist employees (and we KNOW that Costa Rica doesn’t have any army!). So Craigslist has an ingenious flagging system that allows community users to be the first line of defense against bad content. Any Craigslist user can flag a post they see if they believe it to be in violation of Craigslist guidelines. If a post is flagged a certain number of times or under certain conditions, it automatically comes down off the site. They don’t even need to log in, and the person who raised the flag remains totally anonymous. We saved the best for last – the Craigslist personals. In fact, the .org company makes about 33% of its total revenue from fees for personal ads. However, the Personals section is often home to shadowy and illicit encounters in the United States. But in Costa Rica, where prostitution is perfectly legal, the Craigslist Personals is even more of a hotbed (pun intended) for adult fun. And that is all the information we could give you on Craigs List in Costa Rica. Please share with friends!